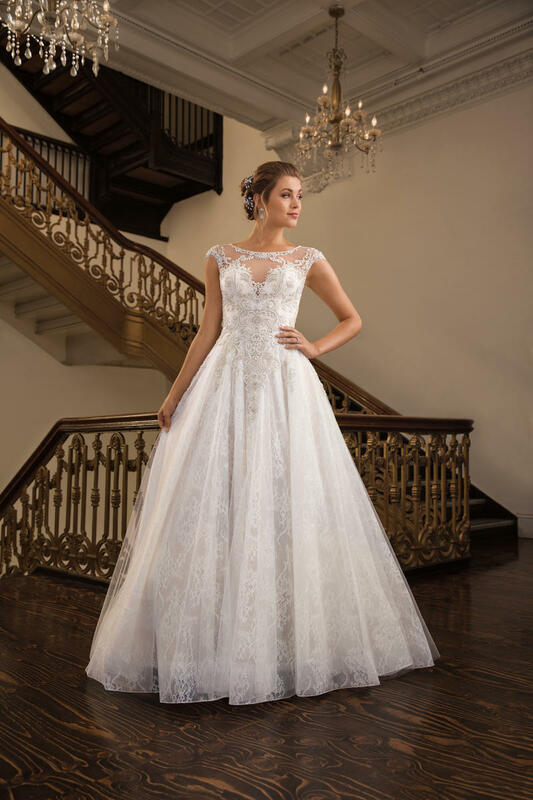 Adele�s A-line silhouette is classically romantic, her bateau sweetheart neckline cascading into a curling silver beaded pattern that trails past the waistline. Cap sleeves transition seamlessly into an illusion back, which dips into a soft Chantilly lace layered skirt. Dignified and fashionable, this lace wedding dress by Amare Couture is a luxurious choice for the sophisticated bride!